This weekend Matt was shooting a music video and I just sat around after my plans got cancelled and watched South Park on Netflix...I did do some shopping and we went out to dinner but other than that it was not a eventful weekend! I even took a nap - I am not a weekend napper! 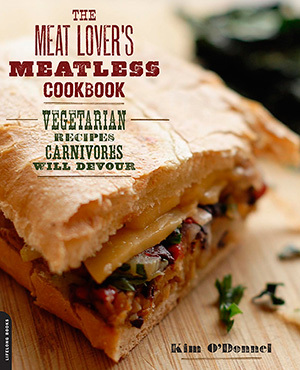 My friend sent me the Meat Lover's Meatless Cookbook and I read it and got some ideas. It is a vegetarian cook book with a lot of vegan recipes. Also the vegetarian recipes can be made vegan for the most part. Today the weather is rainy and cold. I just want to curl up in bed with a book and nap!!! Tonight I am making a big pot of spicy soup and trying to stay warm! I don't think people should worry too much about negative reviews... It's your opinion and sometimes that makes me want to go out and buy the product just to compare notes! I agree for FF. I've done a couple orf reviews where I was just so so so disappointed in the product, that I had to be candid. 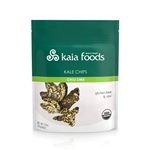 I never had this, but a friend of mine had some kale chips not too along ago and normally she loves kale chips, she said they were the worst thing she ever had. I don't know if it was the same brand.